CGM devices continuously monitor the glucose level of the interstitial fluid (the fluid between the cells) via a small sensor inserted under the skin, updating results roughly every five minutes. Currently, these devices are approved for use only in addition to traditional blood glucose monitors, with fingersticks being required to calibrate the CGM and before making treatment decisions. 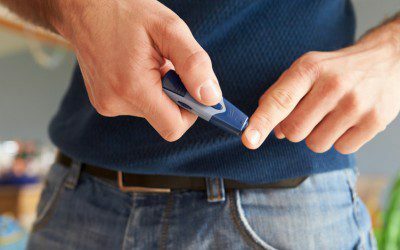 Participation in the study will involve being randomly assigned to use either a CGM only or a CGM plus conventional fingerstick blood sugar tests to determine how much each approach results in blood sugar levels being between 70 mg/dl and 180 mg/dl. Eligible participants are at least 25 years old, have had Type 1 diabetes for 1 to 40 years, have an A1C of no more than 8.5%, and have been using an insulin pump for at least three months. The study is being run by the Jaeb Center for Health Research and involves 15 different hospitals around the country. For more information about the research, including the locations of participating hospitals, visit the study page. And for questions about the trial, contact researcher Katrina Ruedy, MSPH, at [email protected] or (813) 975-8690, or researcher Nhung “Leena” Nguyen, MPH, CCRP, at [email protected] or (813) 975-8690.